A teenage girl in her nightie walks down an eerie and dark corridor, apparently lost. Becoming increasingly uneasy and hearing voices, she fearfully open a door and finds her mother, grinning, apparently waiting for her. It’s the inside of a padded cell – the door slams shut of its own accord and the two are now trapped inside an asylum together … the girl wakes up, screaming that she is not mad. So begins this stylish thriller, beautifully photographed in black and white ‘Hammerscope’, the gimmicky in-house trade name at Hammer Studios for the narrow anamorphic aspect ratio first popularised in cinemas in the 1950s. Despite its no-name cast, generic title and over-reliance on elements from its antecedents, I think it deserves to be better known for its twisty plot and its highly accomplished look. This was the third suspense movie scripted by Jimmy Sangster for the studio in 1962, though you probably wouldn’t need to be told that if you’d seen any of the previous ones in the series as it closely follows the young-woman-in-peril template established with Taste of Fear (1961) and Maniac (1963). In production order the next in the Hammer series was Paranoiac (1963) but I’m moving that one back by a couple of weeks because Nightmare, at least during its first half, has an unusual Christmassy feel for a spooky psychological thriller, though this was in fact incidental. It was shot in and around Hammer’s Bray Studios in Berkshire from 17 December 1962 to 31 January 1963 and heavy snow affected most of the location filming. After the opening dream sequence, we find ourselves at the exclusive ‘Hatcher’s School for Young Ladies’, blanketed in snow. Janet, the 17-year-old girl with the bad dreams, is sitting on her own, her nocturnal anxieties making her understandably unpopular with the other ‘ladies’. She is played by 23-year-old Jennie Linden in her first film role. She was a late replacement for Julie Christie, who begged off when offered a part in John Schlesinger’s Billy Liar (1963). She’s not given a whole lot to do here except look petulant, terrified or both, but does it pretty well all the same. She is packed off home and is accompanied by her understanding teacher Mary, played by Brenda Bruce, probably best remembered today for her cameo in the pre-credits sequence of Michael Powell’s classic chiller Peeping Tom (1960) as the unfortunate prostitute (‘cost you two quid?’) but here is given a much more substantial role. At home Janet is met by her faithful driver and housekeeper and by Grace, who has been hired by the girl’s guardian (David Knight) to be her companion in his absence. Grace is played Moira Redmond and surprisingly she ends up having the most substantial role in the film. That night Janet’s scary dreams seem to begin again, though this time she is plagued by a sombre looking woman with long black hair, her face disfigured by a long, jagged scar on her left cheek. She makes for a highly arresting figure and is played by Clytie Jessop, who has appeared the previous year in The Innocents (1961), the classic chiller photographed by Freddie Francis, who here however is in the director’s chair, leaving John Wilcox to provide the atmospheric images. It emerges that Janet’s mother has been locked up in the asylum up the road for the last six years. Janet as a young girl (the flashback is rather smoothly introduced without cut but a simple change of lighting) arrived at home just in time to see her father stabbed to death by her demented mother – all of this happening on the day of the girl’s 11th birthday. Traumatised doesn’t quite seem to cover the effect this has had on her. This ‘primal scene’ of her mother killing her father will then be revisited several times in her nightmarish encounters with the unknown scarred woman. Janet is in love with Henry, her guardian, who takes her attentions in his stride and brushes off the inappropriate kiss on the lips she plants on him when he comes home after the poor girl collapses and attempts to slash her wrists. This part of the scenario, while understated, provides a Freudian dimension that works fairly well as Janet gets closer and closer to breaking point. Matters are brought to a head at her birthday party when she meets Henry’s wife – who looks just like the scarred woman of her dreams. The terrified and emotionally conflicted Janet snaps and with the cake knife stabs the poor woman to death. At this point the narrative, having reached the exact halfway mark, switches tack completely, very much in the style of Hitchcock’s Psycho (1960) after the shower sequence. The story picks up again after a three-moth gap but now that Janet has joined her mother at the asylum it is Grace who becomes the equally haunted new protagonist It turns out that there have been several plots bubbling beneath the surface and the development of these will keep the story ticking over for the remainder of the film, eventually reaching another Grand Guignol climax that hovers, despite its contemporary setting, somewhere between Gothic horror and psychological suspense. These films written by Sangster, while clearly following in the footsteps of the success of Psycho, were for the most part much more closely patterned after Gaslight, the Patrick Hamilton play (twice filmed) about a husband trying to make his wife think she is going crazy, and Les Diaboliques (1955, aka The Fiends) also about a domestic triangle in which a dead husband apparently resurfaces from his watery grave to haunt his guilt-ridden wife. It’s not the best of the series but in Redmond and Bruce has two really excellent actresses while Francis and Wilcox go out of their way to provide as many visually exciting ‘boo’ sequences as possible through creative use of the widescreen image. This may be only a low-budget thriller and the twists may be a bit mechanical (if ingenious) but there is a polished sheen to the film that compensates for the basic absurdity of the premise (the plans of the conspirators are full of holes and incredibly unlikely to succeed). On top of which it has been handsomely transferred to DVD so it’s well worth getting hold of if you can. 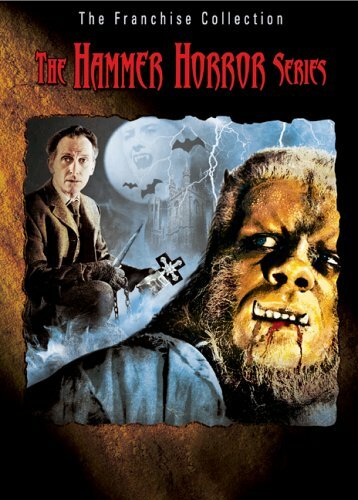 DVD Availability: Hammer Horror Series: The Franchise Collection from Universal. This entry was posted in Alfred Hitchcock, Gothic, Hammer Studios, Jimmy Sangster, Tuesday's Overlooked Film. Bookmark the permalink. I’ve grown very fond of these “mini-Hitchcock’s” over the years, after initially feeling that they weren’t “proper” Hammer movies. In the case of Nightmare, I feel the largely unfamiliar cast works in its favour and helps maintain the suspense better as a result. Hi Colin, thanks very much for the comments. Yes, you are absolutely right, given the Hammer tendency to recycle a tried and tested formula until it fell apart through sheer exhaustion, there is a lot to be said for the way this keeps you a bit more on your toes through its cast of less familiar faces, though of course, to give her her due, Jennie Linden was pretty busy on TV for the next 30 years or so! I’m working my way backwards to the earlier Noir films directed by Fisher and Serle and plan to review several of those in the new year starting with one of my favourites, Stolen Face. I’ll look forward to that. I don’t know if you’ve seen it yet but Heat Wave is a neat little thriller from Hammer’s earlier period. I haven’t seen that one yet actually (it’s the variant title for the Ken Hughes House Across the Lake right?). I should have it on the 3-disc box of Hammer Noir double bill DVDs released in the US. I’ve seen the other discs and liked Barbara Payton in Bad Blonde thanks for the prompt! Well, I’ve already voiced my opinion about this great little thriller in one of the other comment boxes for one of your other Hammer reviews. Excellent job as always. I liked reading the backstage stuff on all the actresses in this one. Some Julie Christie trivia, too! Hope a lot of people go looking for this movie now. You have certainly done an enticing job here and it’s well worth watching. BTW – I just saw GREEN FOR DANGER for the first time and I thought it was marvelous. Probably one of the few cinematic examples of a fair play murder mystery. An astute viewer can figure out the mystery. It’s a remarkably well done piece of screenplay writing in that regard. There is top notch acting from all, but especially the eccentric performance of Alistair Sim as Inspector Cockrill. Only some minor changes from the book, but the bulk of the plot is all there. Thanks as always John. Your review, posted in the feedback to my post on Taste of Fear, was definitely more concise! You are quite right about Green for Danger – it’s a cracking whodunit with bags of humour and shuddery atmosphere to boot (love that scene when the murderer turns up in the white scrubs in the shadows!). 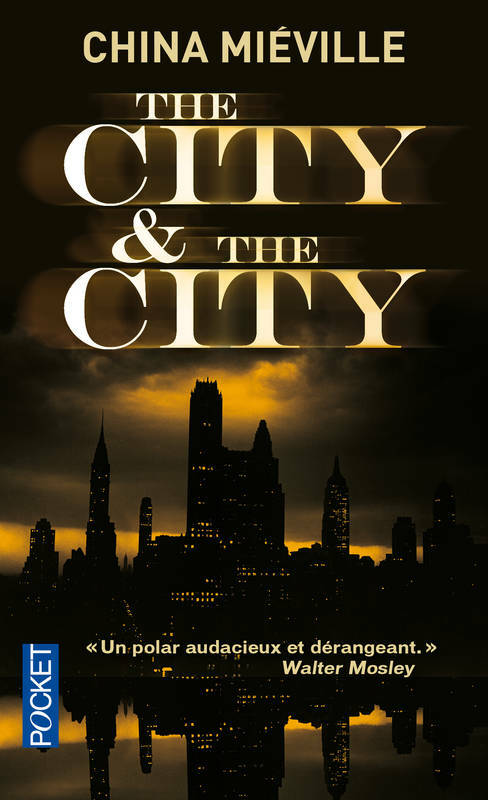 It is absolutely one of my favourite mystery movies (it is 19th in my chronological Top 101 Film & TV Mysteries in fact) but would always appear in my top 10 frankly. I did a brief review of it over at the screenonline website, which is a British educational resource for media students. I am, incidentally, beavering away at your quiz – all I can say right now is, damn I’m humbled! Fascinating review, I’m going to have to see this one now. Sounds very spooky. We aim to please – actually, a friend of mine is one of the interviewees in the extras!